Reata, Spanish for “rope”, is named for the majestic ranch in the 1950’s epic movie “Giant,” starring James Dean, Rock Hudson and Elizabeth Taylor. Based upon the famous novel by Edna Ferber, this legendary movie uniquely symbolizes the strength, spirit and excitement of the legendary days of the wide open west. Simply put, the first Reata Restaurant started when a hungry west Texas rancher had a hankerin’ for some really great food. 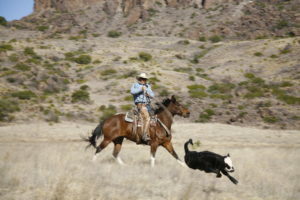 Al Micallef, owner of the CF Ranch, took his hunger into his own hands and partnered with Fort Worth businessman Mike Evans in 1995 and opened the first Reata Restaurant in Alpine, Texas. From Alpine grew the nationally renowned original Fort Worth location – survivor of one of the most destructive tornadoes in U.S. history. Our crowning glory, Reata at Sundance, opened in the heart of downtown Fort Worth in May 2002. It’s been our distinct pleasure serving the fine folks of Alpine and Fort Worth over the past two decades and we look forward to many more great years to come!